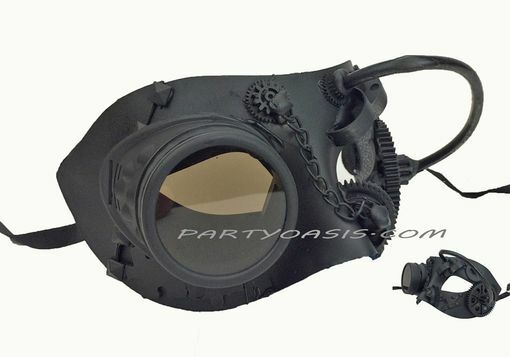 This Ops Steam Punk mask is hand made and painted a mat black. Goggle has glass lens. Comes with black elastic and ribbon ties for a easy wear.